Sure, Conan's shtick is being a clueless gamer. But cmon, why does Sam Fisher initially forget to bring a gun when he goes after the terrorists? 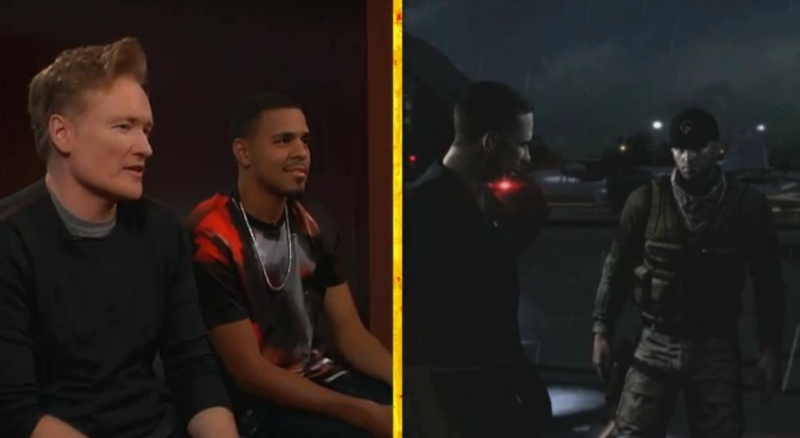 Clearly, this clip of Conan and rapper J. Cole playing through Splinter Cell: Blacklist was doomed from the start. Doomed to be hilarious, that is.